Megastar Chiranjeevi’s 150th film is in news for quite some time now. Tollywood and Mega fans are eagerly waiting this prestigious project and many speculations are doing the rounds as to who will direct the film and what will be the story all about. Finally, the speculation has come to an end as V V Vinayak has been chosen to direct this much awaited project. 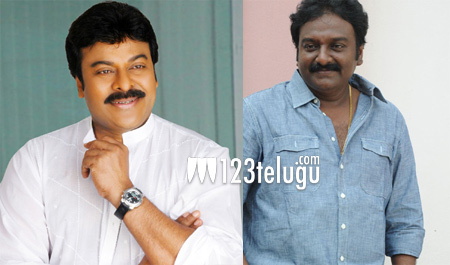 Interesting aspect is that Chiru has decided to remake the Tamil super hit Kaththi in Telugu. Pre-production is going on in full swing and the shoot is slated to kick start in November. Keep watching this space for more interesting updates about this project.